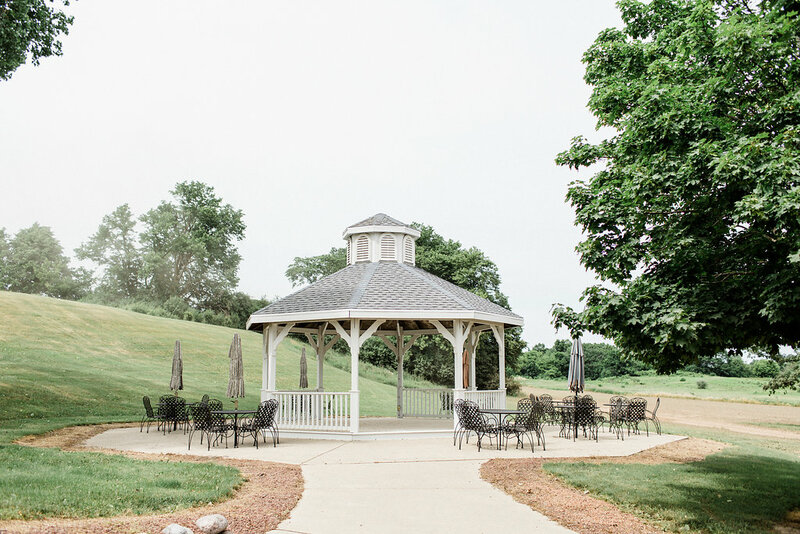 In the midst of nearly-completed renovations at Springbrook, we recently paused to take a day to have a little fun planning a “wedding” of our own! 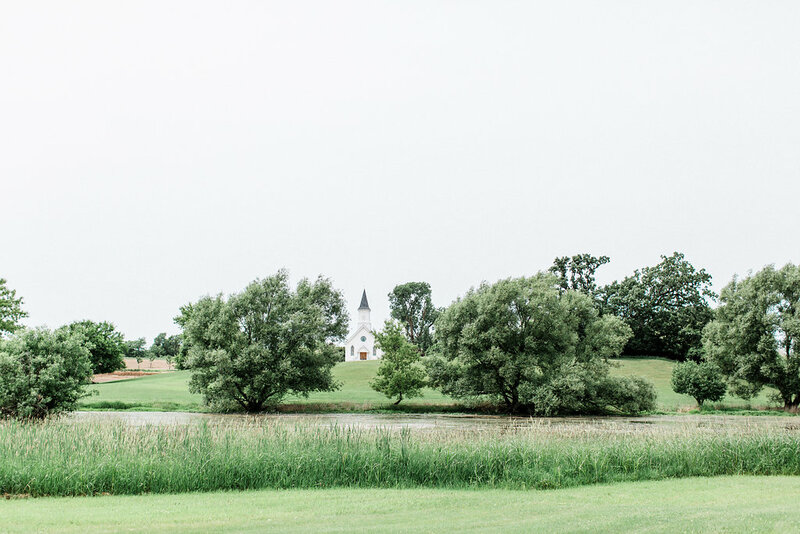 The day was overcast as our team gathered mid-afternoon. 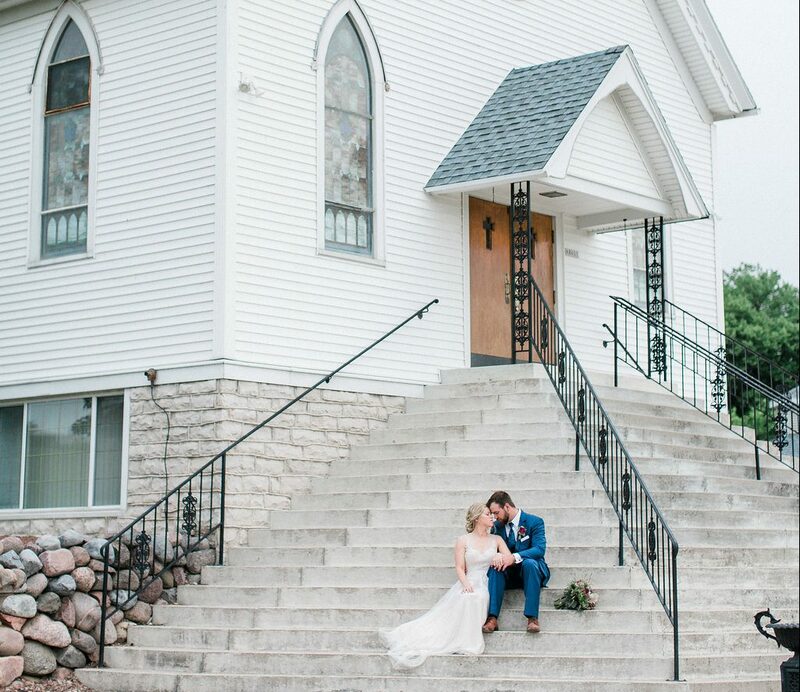 Just like on a real wedding day, there were jitters, forgotten items, even raindrops to dodge; but in the end, God blessed us with so much joy and beauty! 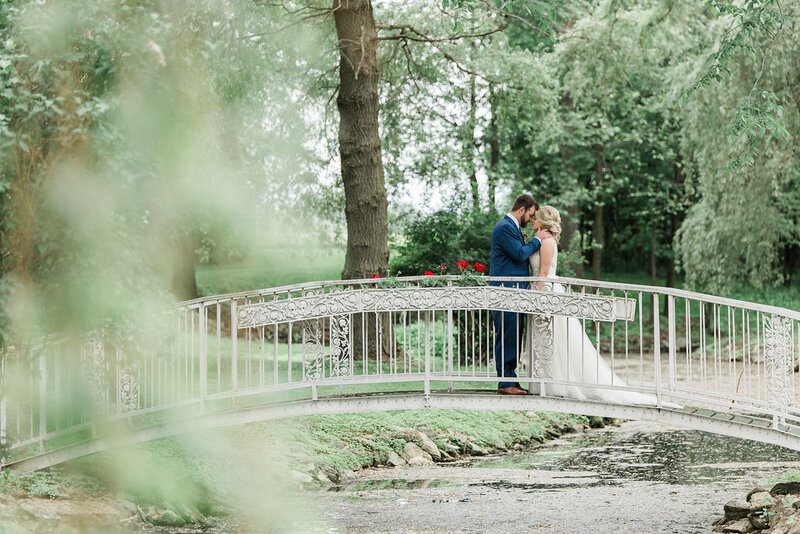 It was a delight to work with our couple and a team of local wedding experts (and new friends!) 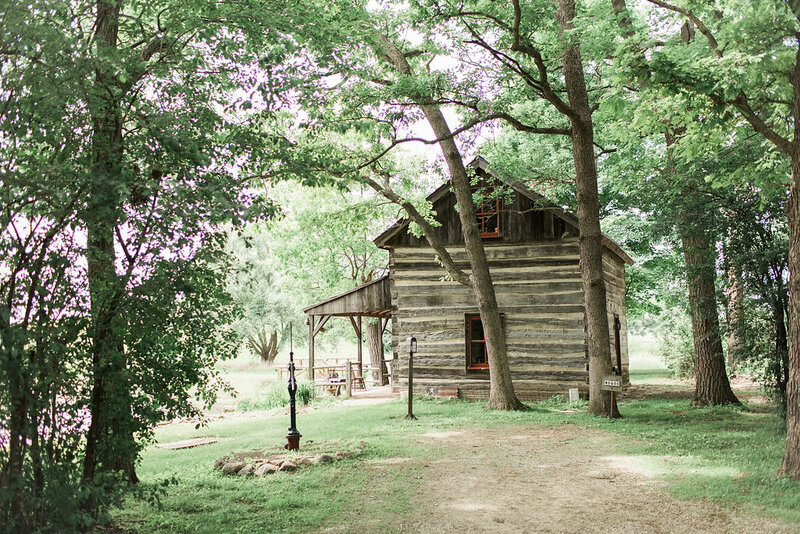 to bring this vision to life! 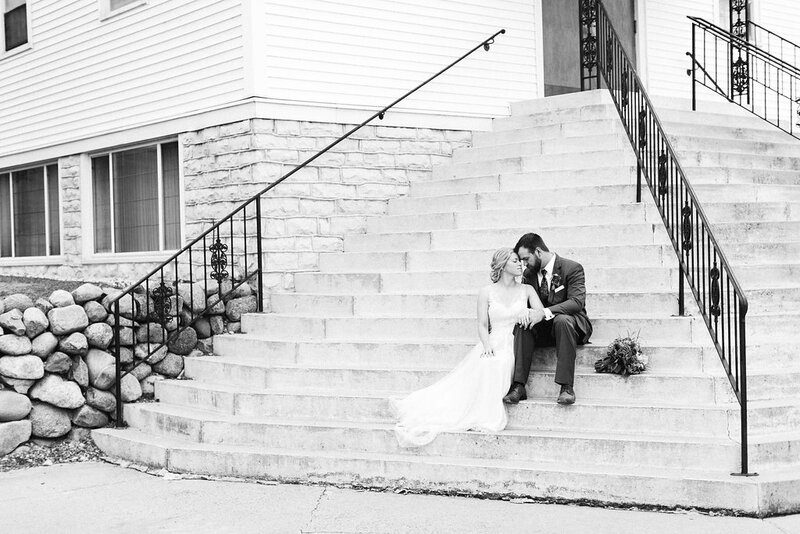 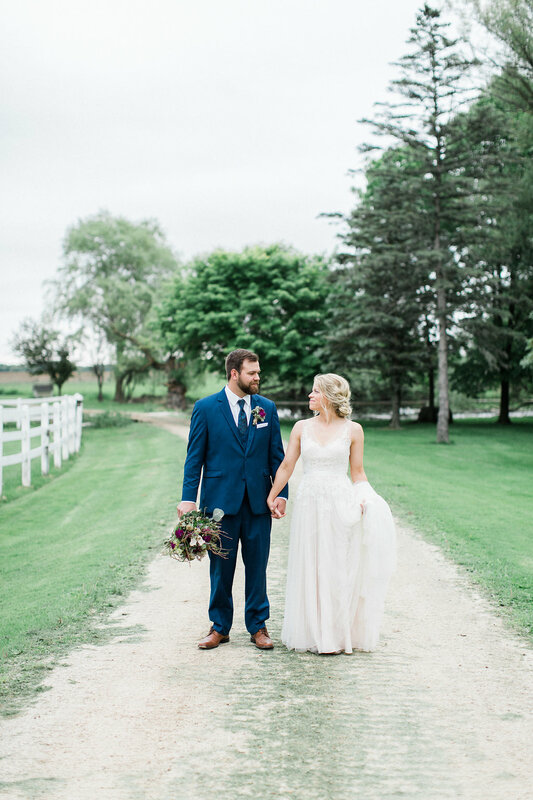 Frank and Meghan Klapper, of Waupun, who have already celebrated 3 anniversaries, graciously accepted our invitation to model, and were the perfect pair for this day! 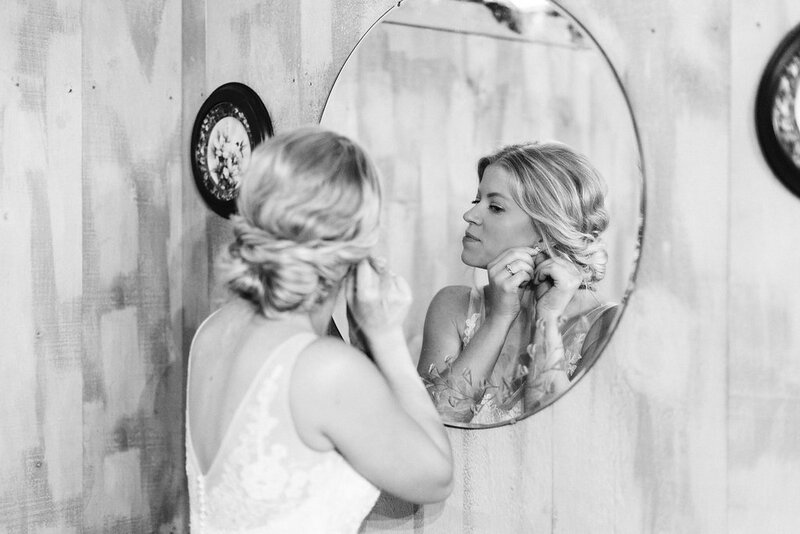 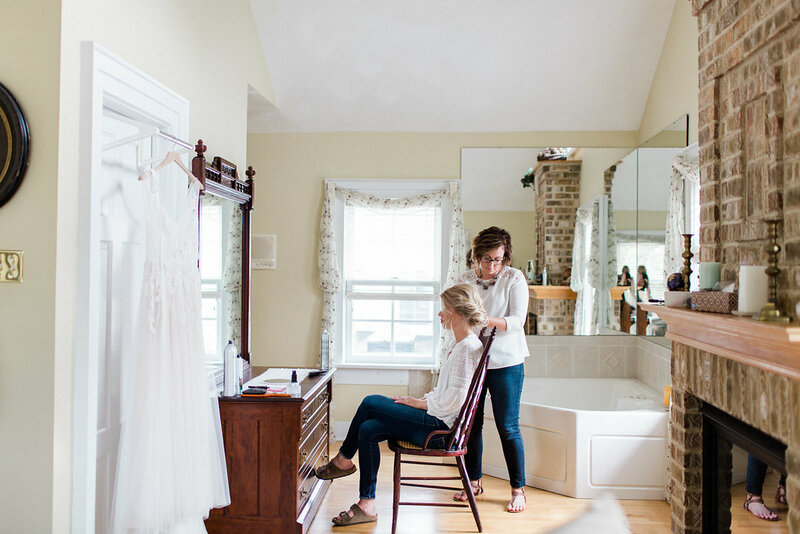 Our bride settled comfortably in our B&B while Chelsie Gerritsen styled her hair in a low textured up-do to give her a soft, romantic look. 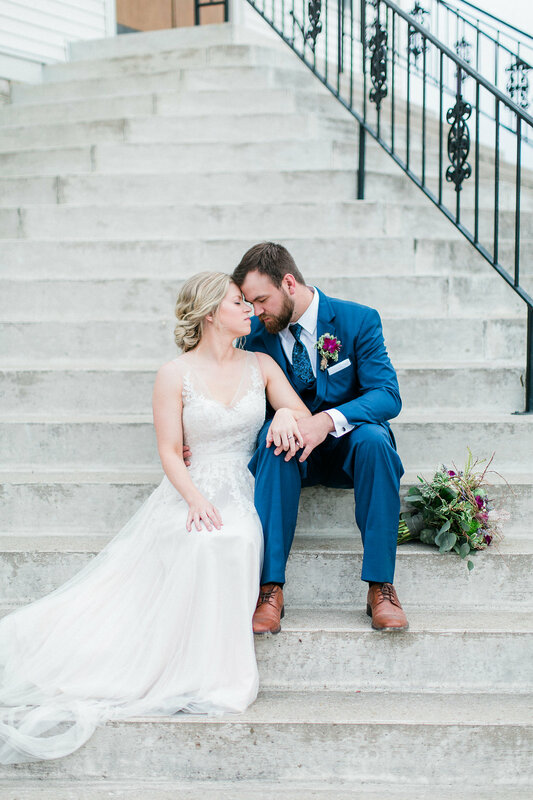 Something “borrowed” was Meghan’s lace and tulle dress from a cousin; something cobalt blue was Frank’s tuxedo from K’s Boutique. 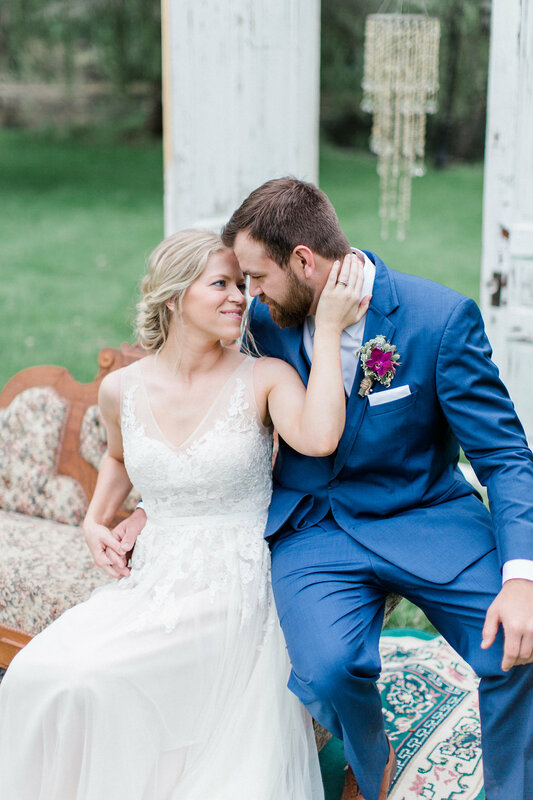 The look in Frank’s eyes for his bride gave no doubt that he would marry her all over again!! 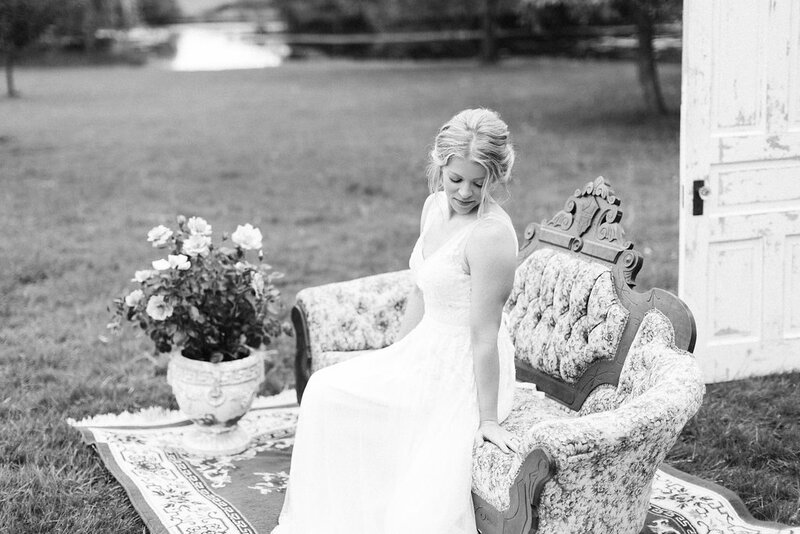 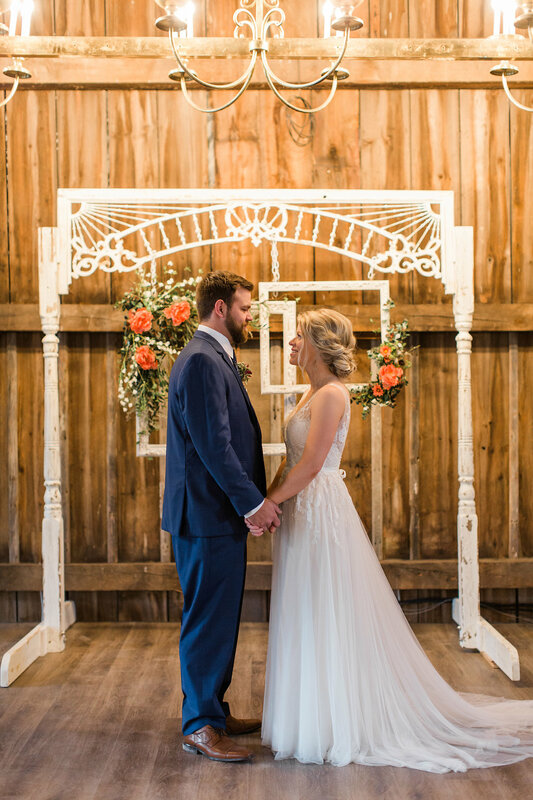 Kylie, of Kylie Marie Photography, directed the day and captured the moments with her talent for natural light photography and ability to find the best side from every setting! 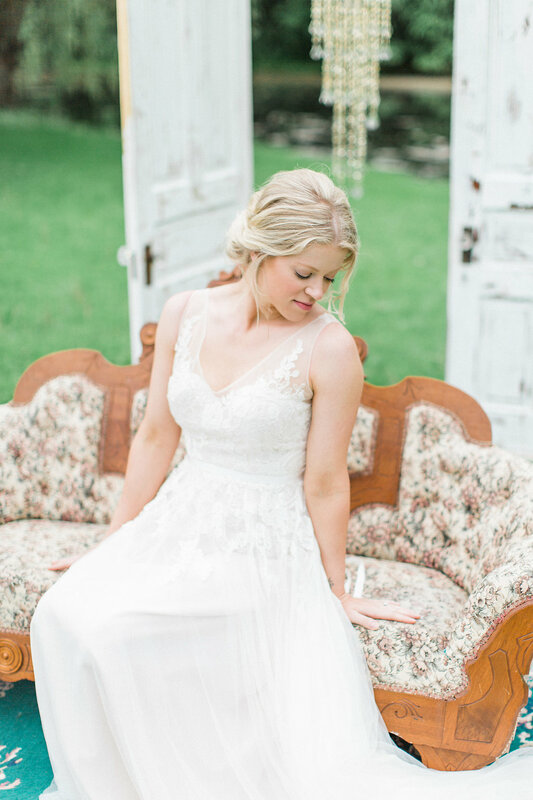 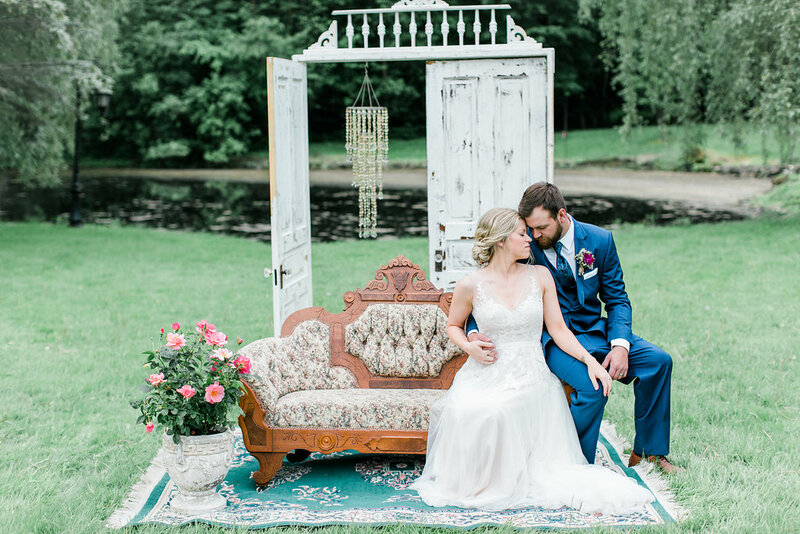 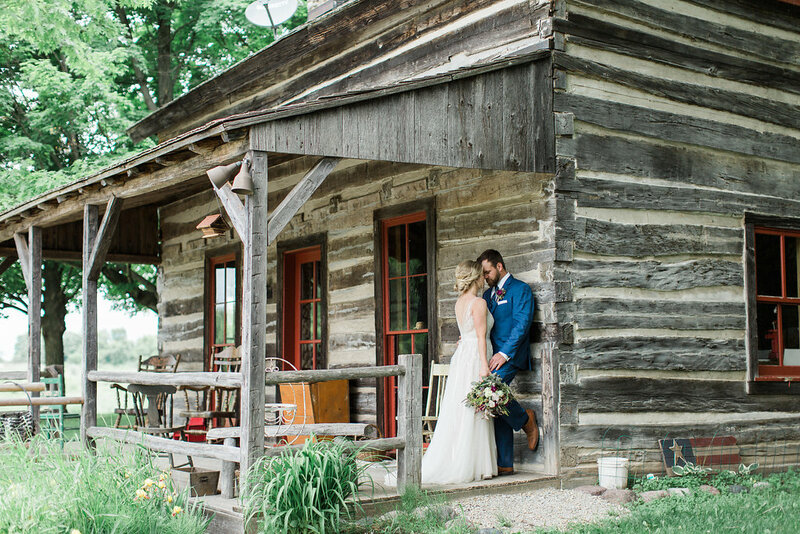 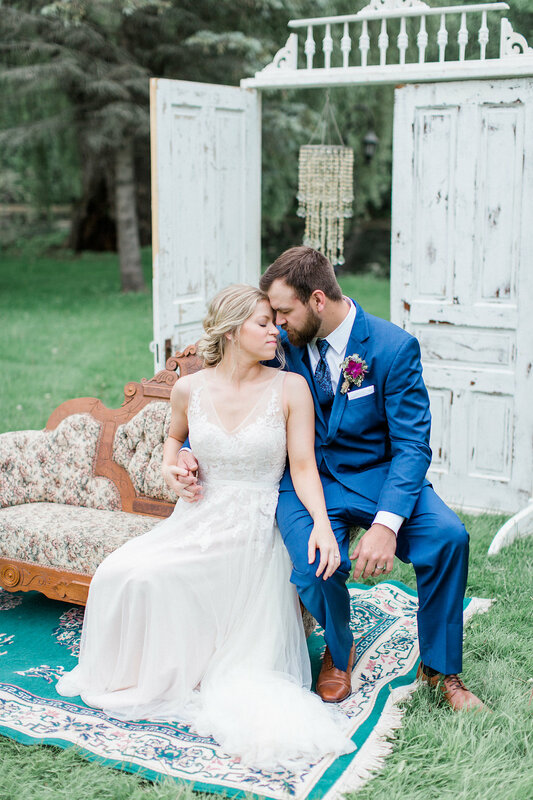 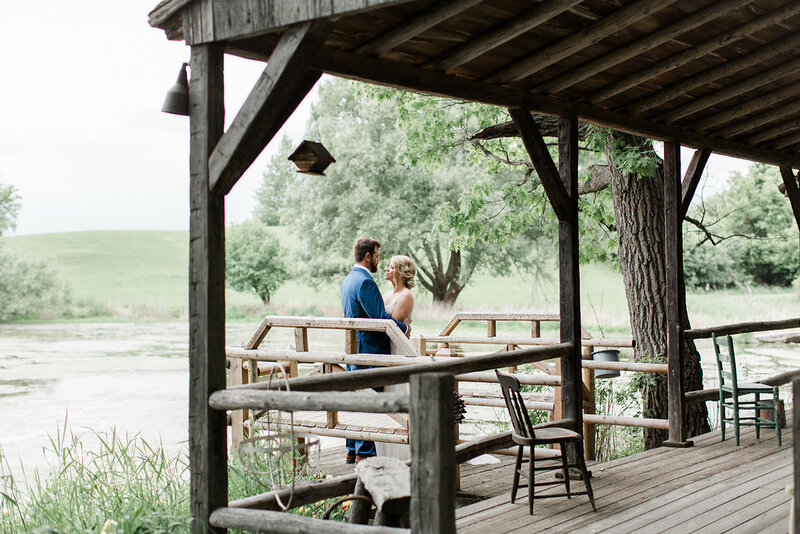 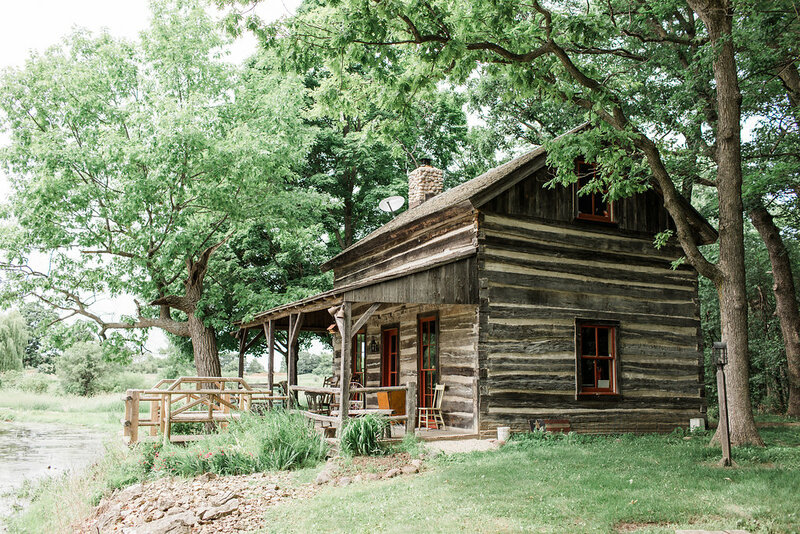 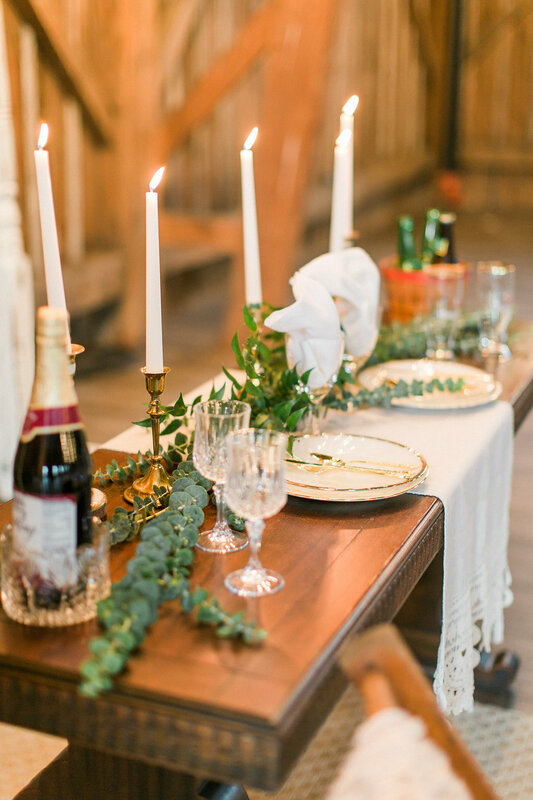 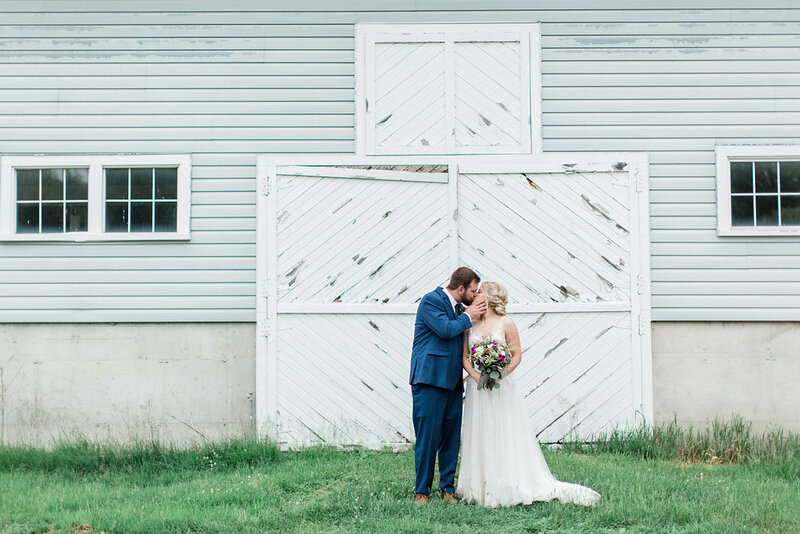 Katrina and Kathy, of K’s Boutique, set the stage inside the Barn and near one of our spring-fed ponds with a combination of weathered wood, vintage furniture and décor (and just a hint of boho! 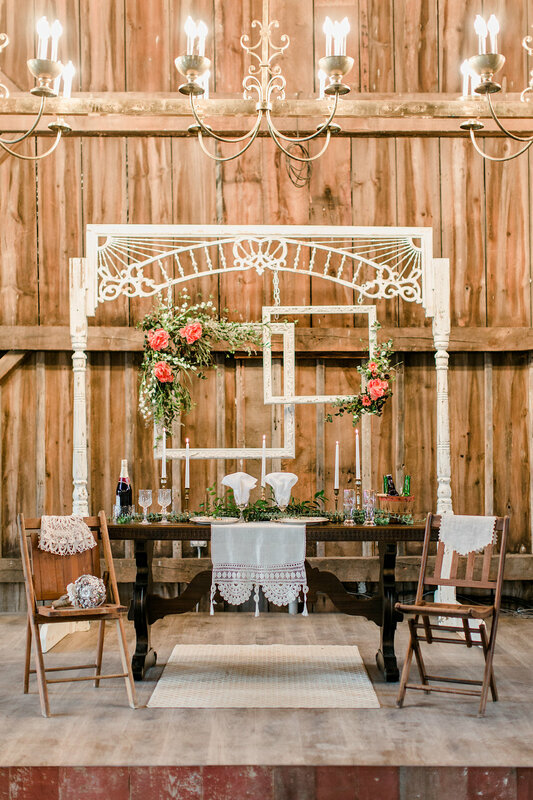 ), for their creative backdrops and tablescape. 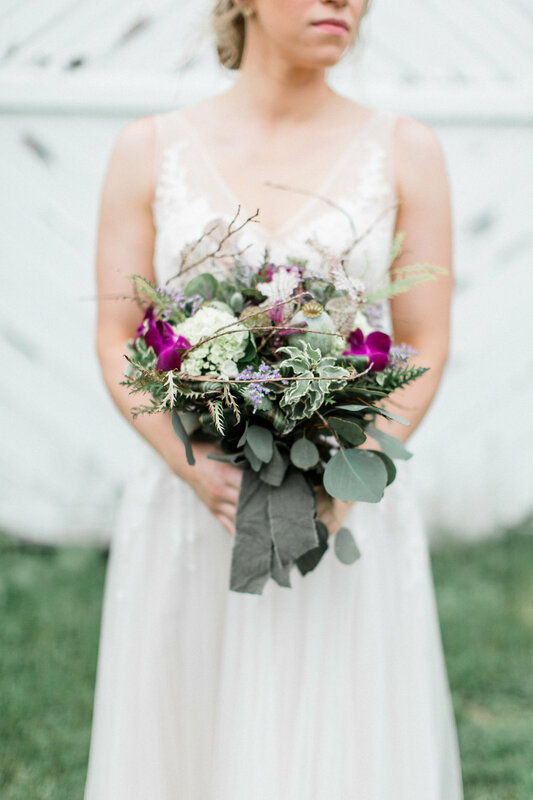 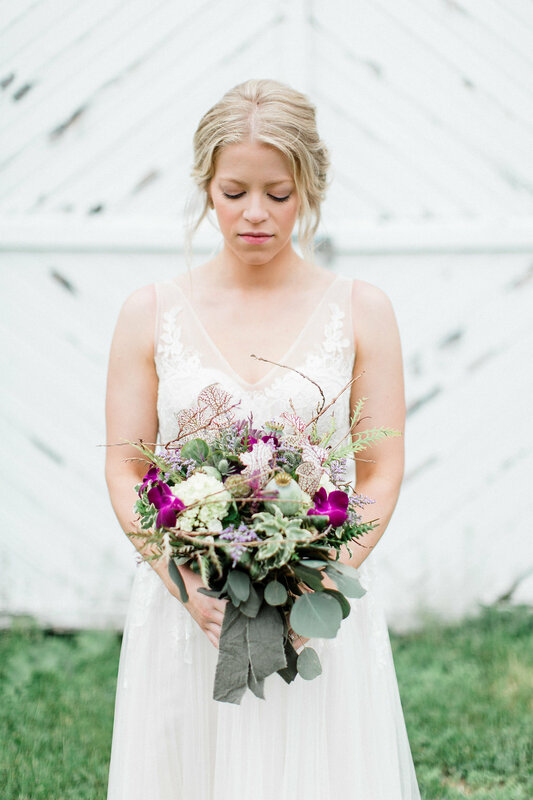 Tracy, of Tracy Kastein Floral Design, provided coral florals and greenery for the Barn backdrop, and created a fascinating mix of cobra lily, poppy pods, thistle, orchids, mixed greens, and moss for an on-trend woodsy-botanical bridal bouquet. 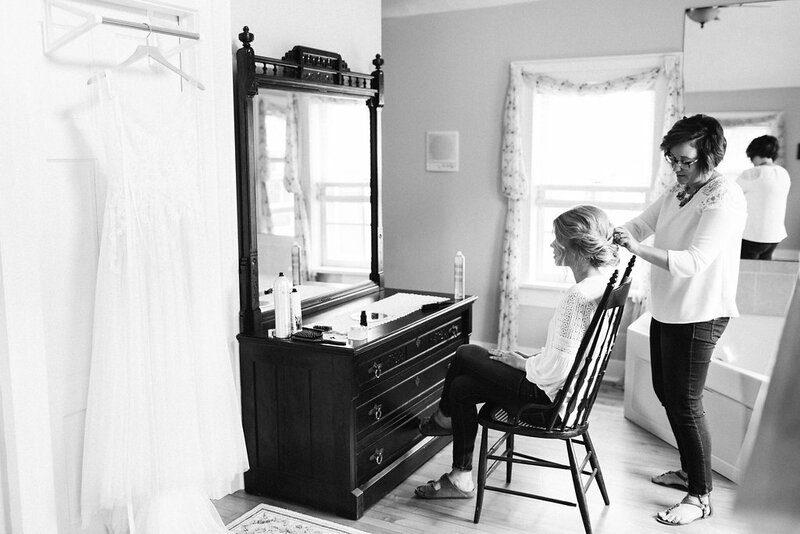 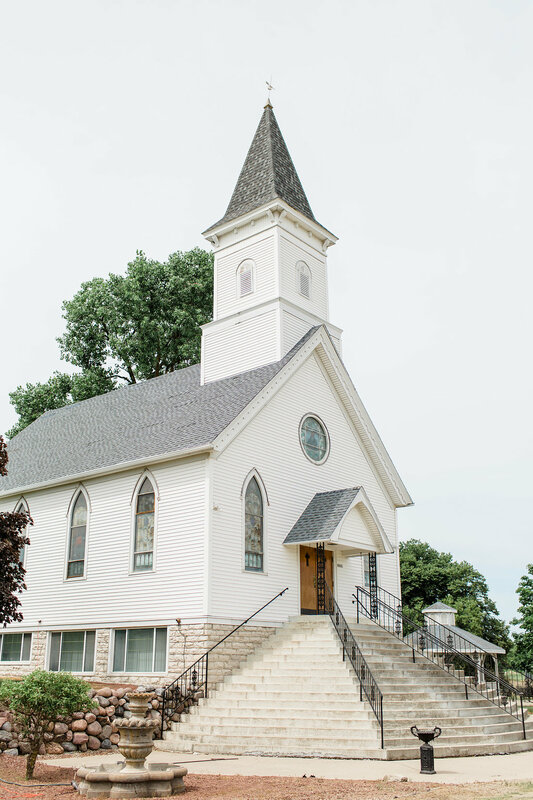 Enjoy this Springbrook Wedding Album! 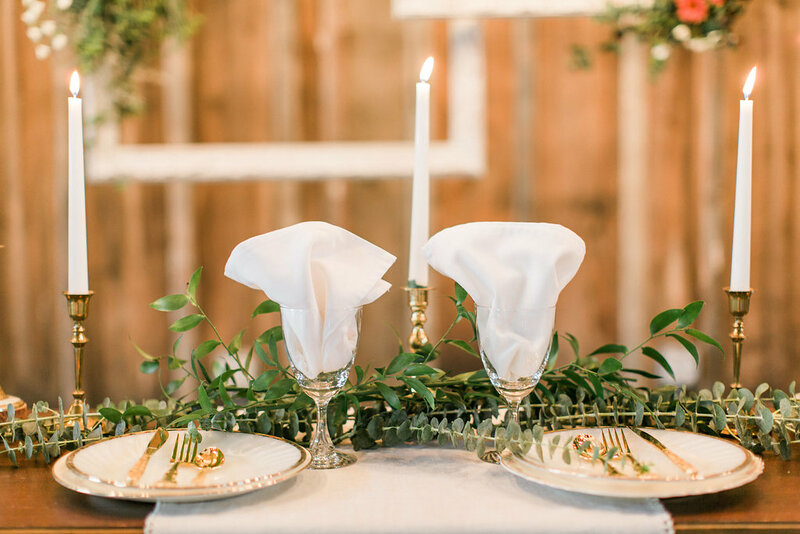 It is our hope that this styled shoot will inspire you and give you a peek into the beautiful beginnings that await at Springbrook!